TUBAS (Ma’an) – Israeli forces on Thursday destroyed a water network which feeds Palestinian villages and Bedouin dwellings in the northern Jordan Valley, the head of the village council of al-Maleh and its surrounding Bedouin dwellings said. 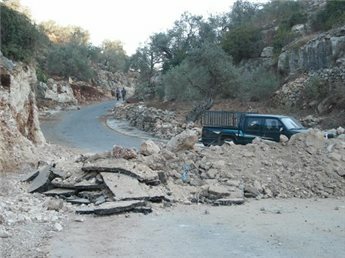 Arif Daraghmah told Ma’an that Israeli troops escorted excavators which destroyed a 2,000-meter-long water pipeline near the village of al-Atuf. The pipeline, he said, was funded by the Palestinian Agricultural Relief Committees. In addition, Israeli forces confiscated 250 meters of water pipes near the village of Yarza east of Tubas.